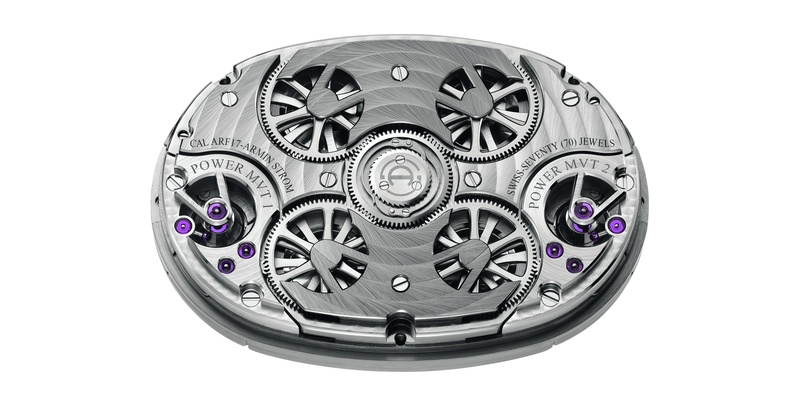 Armin Strom Dual Time Resonance Watch Wins Red Dot Award. 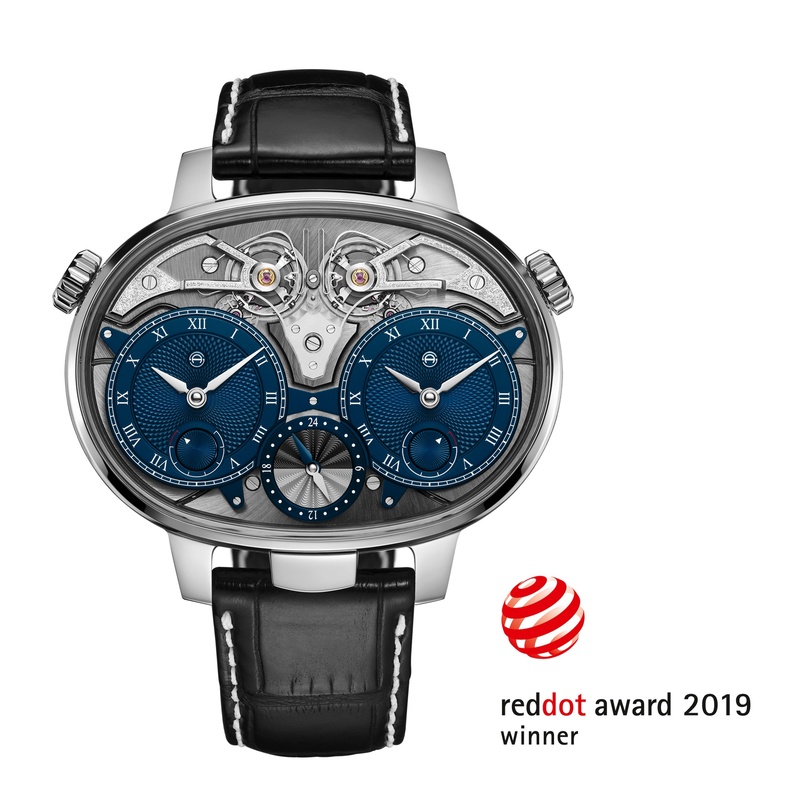 The prestigious Red Dot Design Award 2019 for excellence in product design has been bestowed on Armin Strom watch brand — for the third time. The brand’s Dual Time Resonance watch wind the international design award in the “Watches” category. We wrote extensively about this watch when it was unveiled late last year, and then again recently when the brand released the Dual Time Resonance Sapphire watch. The movement architecture of the caliber ARF17 in this timepiece — designed in house — features two movements placed horizontally and offering dual-time resonance. In a case of form follows function, the two movements side by side necessitated the oval case shape of the watch. The Armin Strom Caliber ARF17 with two movements powers the Dual Time Resonance watch. The groundbreaking watch features an innovative, patented mechanism developed thanks to the brand’s pursuit of precision. Visible from the dial side, the watch features an animated resonance clutch spring that connects the two oscillators (the most sensitive part of a watch movement) to improve precision by synchronizing the two independent movements. 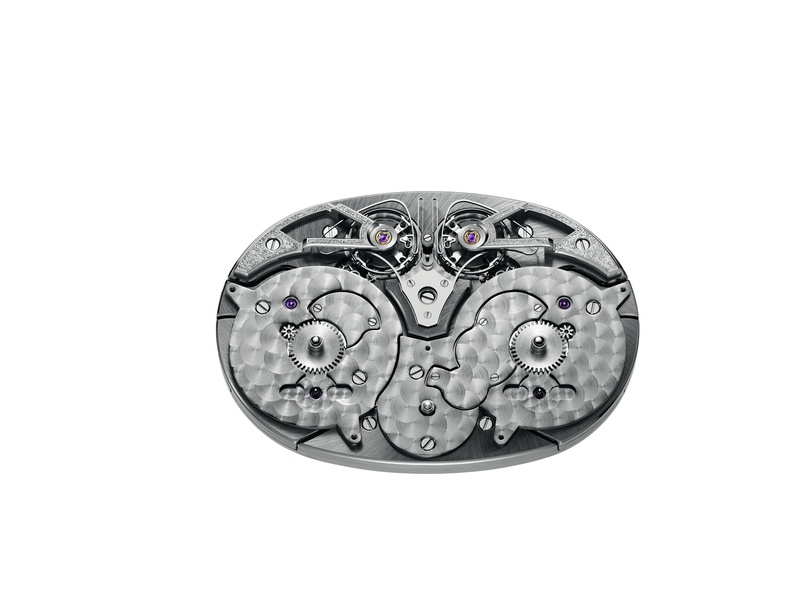 Armin Strom Dual Time Resonance Watch with innovative, patented movement. The Red Dot represents top achievements in design all over the world and awards companies that set global standards in terms of design, ease of use, or functionality. In 2019, the prize winners were selected by a jury consisting of 40 members including independent designers, professors and professional journalists. More than 5,500 products from 55 different countries were entered this year. There are multiple winners, who will be awarded formally in July.